It took Paddy until Easter 1934 to get to this bridge. Nick is moving well now. 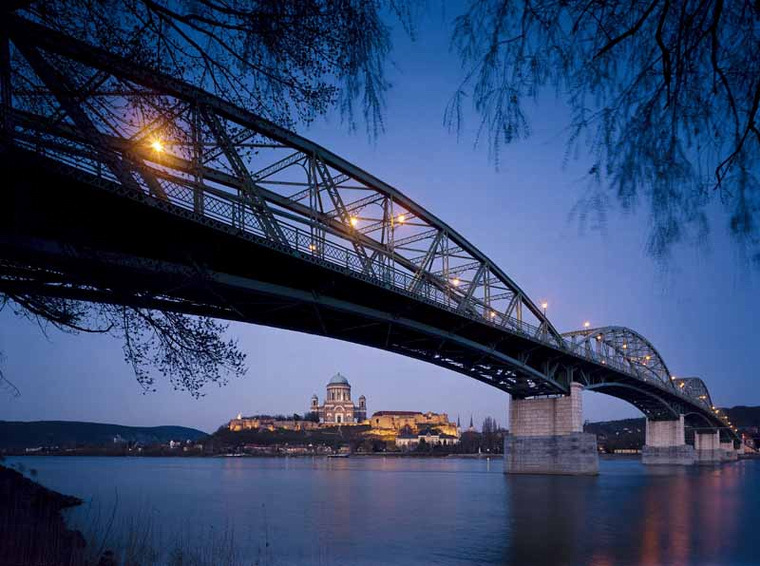 The bridge at Esztergom was one of my first blog posts back in April 2010! The bridge linking Slovakia and Hungary, between the towns of Štúrovo and Esztergom, also links A Time of Giftsand Between the Woods and the Water. Here Paddy paused both in his walking and his writing, ‘meditatively poised in no man’s air,’ before crossing into Hungary and the second phase of his journey. This entry was posted in A Time of Gifts, After the Woods and the Water, Between the Woods and the Water and tagged A Time of Gifts, after the woods and the water, Between the Woods and the Water, Esztergom, Hungary, Nick Hunt, Slovakia on March 13, 2012 by proverbs6to10.